Easyjet had an incredibly cheap sale during October so I logged on just out of curiosity and in the ended up buying some cheap return tickets to Slovenia. Slovenia is a country that has always interested me since my trip in the Balkans earlier this year and it also looked really picturesque and beautiful from the pictures I had seen. 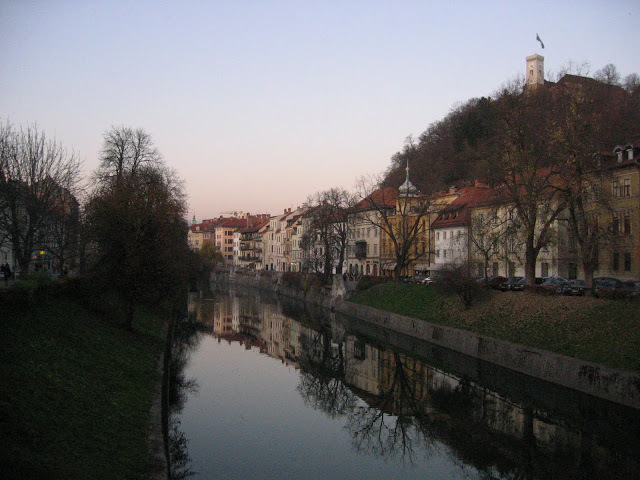 The capital Ljubljana is a pretty and compact City and it’s very easy to walk between all the main sights. After some advice from my hostel owner I decided to walk up to Ljubljana Castle which over looks the whole town. From here you can get some pretty amazing 360-degree views. Inside the Castle is the Virtual Museum. I was a little confused as to what this meant at first – it was 20 minute 3D film showing the development of the Castle. 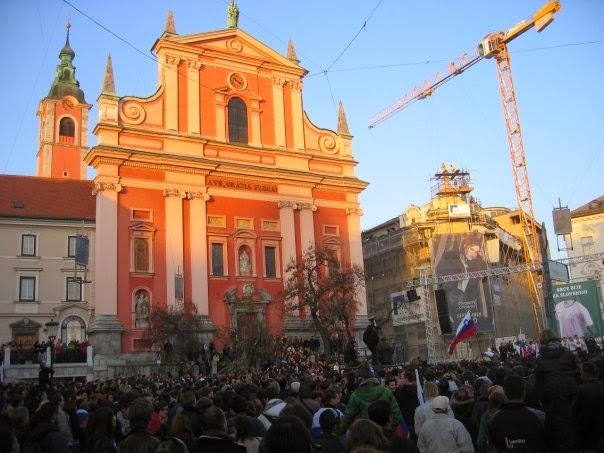 There was a huge party in Ljubljana the day I arrived as the national football team had just defeated Russia to qualify for the World Cup. This was an incredible achievement for a tiny country without any star players. There was a party atmosphere in the middle of town and a lot of dancing and drinking going on. Even the players on the stage seemed to be getting into it. I had been up until late the previous evening watching a certain other play off game unfold and the Slovenians joy was in some contrast to my own disappointment. The hot wine on sale worked wonders on my hangover though. 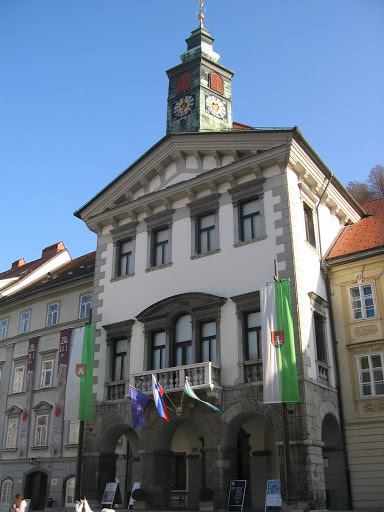 Ljubljana is pretty well served by some impressive architecture. As well as the Castle the Franciscan Church of the Annunciation dominates the main square with its salmon pink livery. 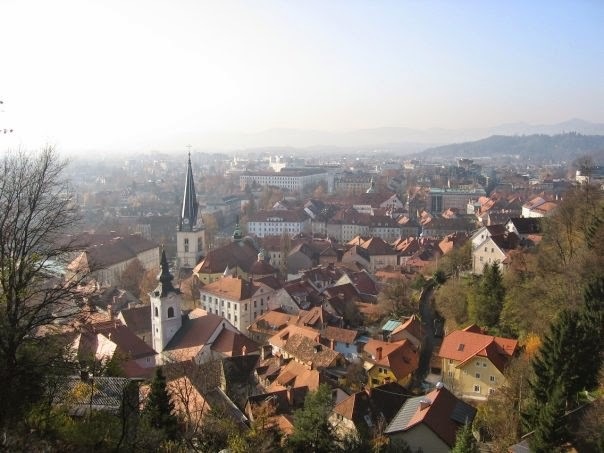 Some of the locals I met complained that most of the buildings were from the Austro-Hungarian era and therefore Ljubljana looked too “Austrian”. Many of the most impressive sights in Ljubljana including the Triple Bridge and National University Library were designed by Slovenian architect Joze Plecnik (trained in Vienna) who worked in the City for many years improving much of its infrastructure and making a huge contribution to its current appearance. Whatever way you look at it I think that generally there aren’t too many modern buildings in the middle of town which has preserved the charm of the place. Ljubljana has a thriving bar and cafe scene. In the evenings the both banks of the Ljubjanica become busy with locals sitting outside enjoying a tipple or two – even in winter it seems! I was lucky enough to try some good local food. Goulash seems to be popular, the generally meat dominated diet seemed quite appropriate at such a cold time of year. You can always get Balkan favourites like Burek if you’re trying to do things on the cheap. 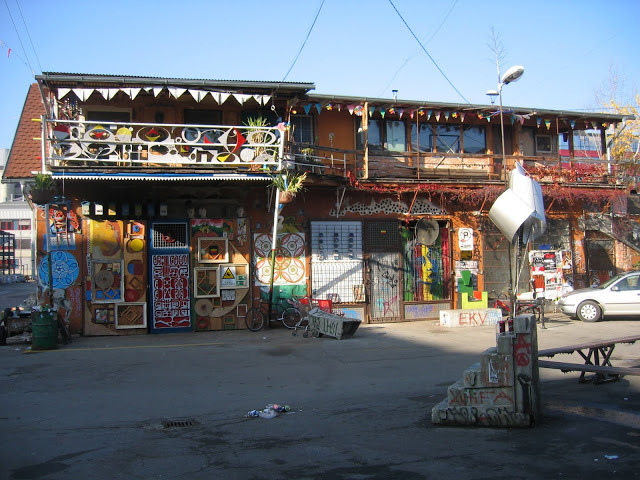 One of the most interesting places to visit in Ljubljana is Metelkova which is an art gallery, bar and night club area which was formerly a Yugoslav National Army base until 1993 when some of the locals tuned it into a squat. 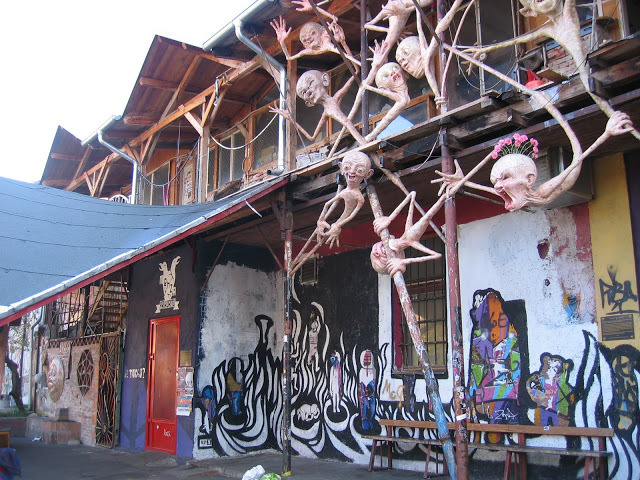 During the day there are a number of art exhibitions and places to have a coffee. In the evening a number of clubs and live music venues open making it probably one of the coolest places in town. I wasn’t unfortunately able to go during the evening but the locals I met through couchsurfing raved about it. During my stay in Slovenia I also visited the beautiful town of Bled.